Antoine François Dezarrois was born in Mâcon, France, on 11 September 1864. He was a pupil of Henriquel-Dupont, Gérome and Levasseur, and won the Grand Prix de Rome in 1892. 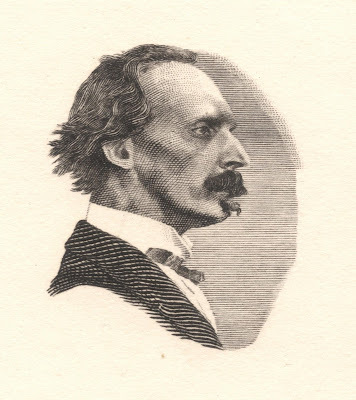 In the 1910s, Dezarrois taught engraving at the Parisian Ecole Estienne. 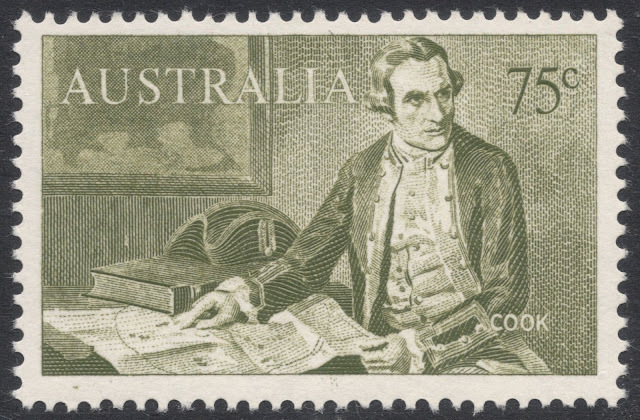 Among his pupils were the future stamp engravers Albert Decaris, RenéCottet and Pierre Gandon. 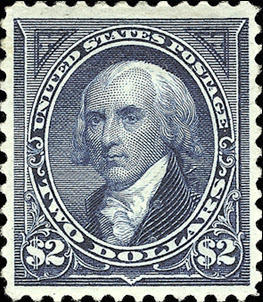 From 1929, Dezarrois taught engraving at the School of Fine Arts in Paris, where the stamp engraver Jean Pheulpin was among his pupils. 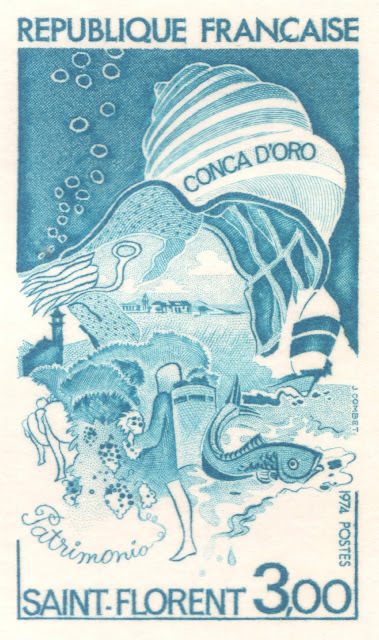 Dezarrois was mainly a book illustrator but did engrave a small number of stamps as well. In 1915, Dezarrois engraved the franc values of the Belgian definitives. 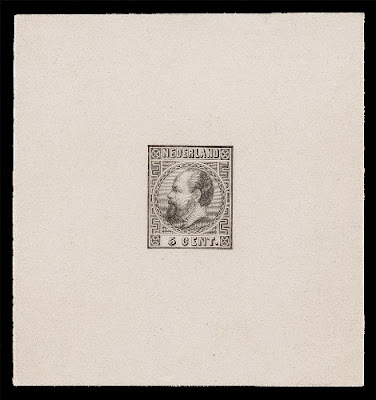 The die proofs of the 1 franc value show that Dezarrois tried several designs, with the tower being less or more prominent. The die for the 10f value had to be re-engraved when it was discovered the word Eendracht was written with only one e.
In 1916, Dezarrois worked on a Red Cross issue for Belgium. 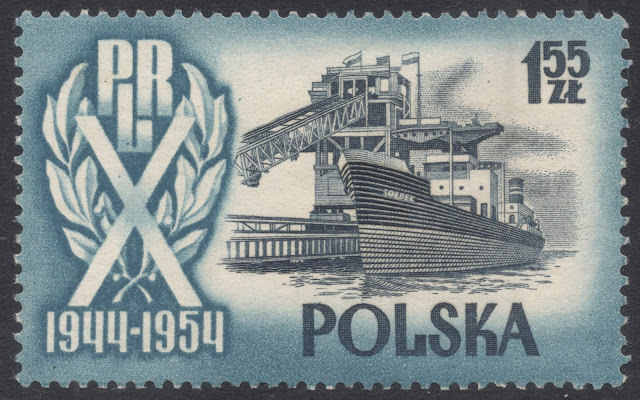 He engraved a design featuring the royal pair in two medallions. 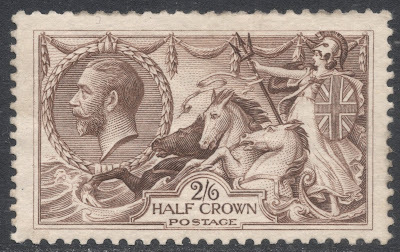 The issue was eventually aborted though, but not after it had been printed by Waterlow and Sons. The whole stock was subsequently destroyed. The die proofs did remain though and from these it can be seen that there were two types. On the first type the royal tunic was engraved with lines which crossed each other. On type II the tunic was engraved with diagonal lines going from right to left. 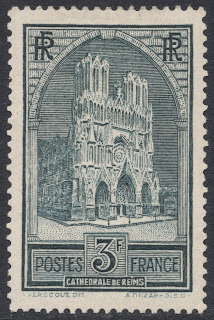 Dezarrois only engraved a single stamp for France: the 1930 stamp depicting Reims Cathedral. 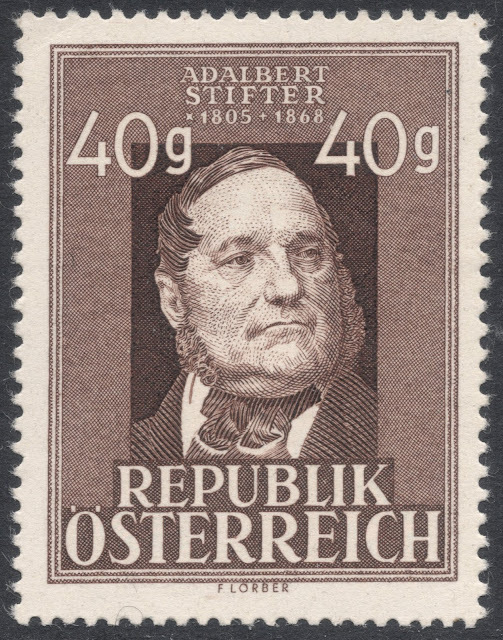 This stamp comes in three types, though, as it was printed from three different dies. Dezarrois engraved the first two dies. 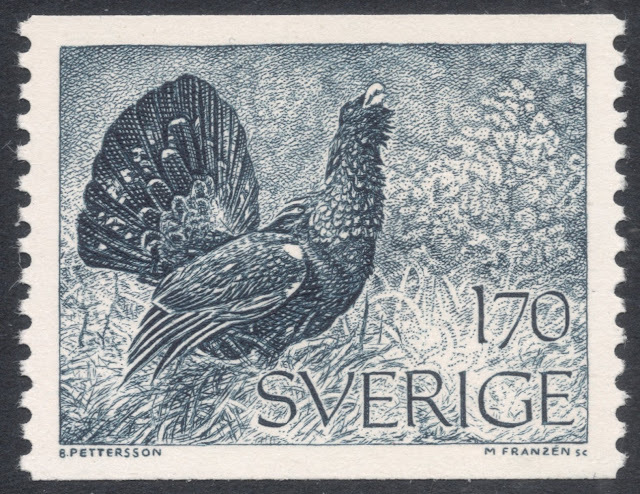 The third die still bears his name, but was actually engraved by Antonin Delzers, probably because in 1931, Dezarrois was no longer able to complete the work. 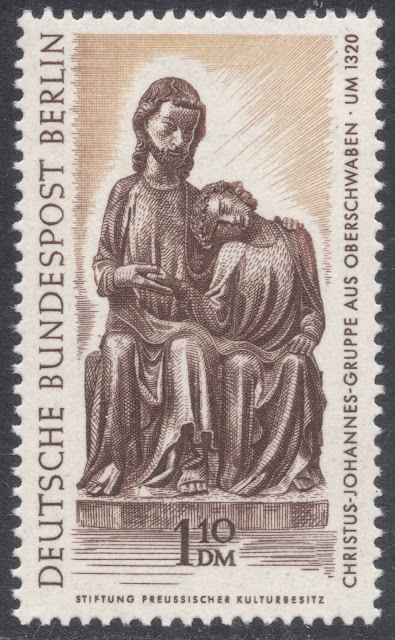 Delzers' die is easily recognisable because it includes a dotted shadow immediately below the central porch. The two types engraved by Dezarrois (both without that dotted shadow) are also easily distinguishable, because Type I has an interrupted horizontal line just to the bottom left of the value tablet, above the e of cathedrale, whereas on Type II, this line is continuous. 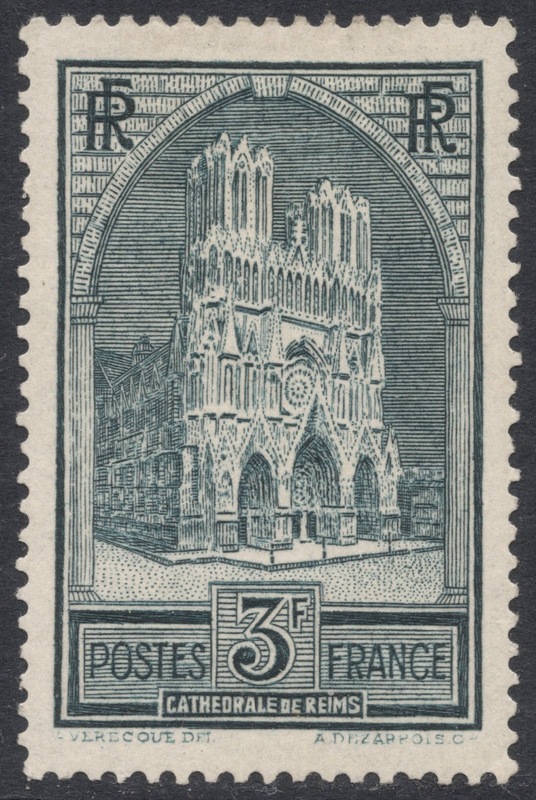 The Reims Cathedral stamp was reissued in 1938 with a surcharge for the restoration fund, but for this issue, too, the Delzers die was used. Antoine Dezarrois probably passed away in 1939, although sometimes the year 1934 is mentioned as well. You will find Antoine Dezarrois' database HERE.